California has a very large energy storage market—on paper. Which projects will make the cut? California’s push to transform the market for grid-scale energy storage is working even better than expected -- at least on paper. Last year, California created a mandate calling for 1,325 megawatts of energy storage projects by 2020, to be scaled up every two years. The first installment of proposals due this year adds up to 200 megawatts. As of mid-2014, more than 2,000 megawatts of energy storage projects have applied to interconnect with the state’s grid, according to recent data from state grid operator California ISO (PDF). In other words, project developers have received the market signal of a 1.3-gigawatt mandate and proposed enough storage to provide nearly double that amount over the coming years. What’s more, CAISO only tracks projects seeking interconnection to the high-voltage transmission grid, said Heather Sanders, the grid operator's director of regulatory affairs, at last week’s Intersolar conference. That leaves out all the distribution-grid-connected and customer-sited storage systems, which make up a combined 875 megawatts of the state’s 1.3-gigawatt target. However, just because a storage project is in the queue doesn’t mean it will be built, Sanders noted. (We've seen the same thing in solar in the past.) Current proposals are awaiting a first-phase study to determine the costs of individual projects, after which they'll be asked to provide larger financial deposits to secure their place in the competition, she added. Sanders compared the present storage rush to the early days of California’s renewable portfolio standard, when wind and solar power interconnection requests added up to enough projects to supply three times the mandate’s needs. Still, it’s certainly a sign that the storage mandate has provided a massive boost in interest from developers. It’s also a challenge for CAISO and the other state agencies tasked with coming up with ways to value storage, she noted. One challenge is coming up with rules for a resource that both absorbs and discharges electricity, unlike traditional generation resources that only produce power, she said. That may sound like a simple problem to solve, but it will actually require significant reworking of the regulations for valuing both sides of the equation. CAISO is also working on fitting energy storage into its new rules for flexible, multi-hour grid resources to help it manage the so-called duck curve problem. That’s the situation increasingly occurring on California’s grid, when lots of distributed solar generation pushes midday energy use way down, then fades away just as a steep rise in evening energy usage sets in. How many hours of continuous ramp should these flexible resources provide? And should smaller-scale storage be aggregated into larger blocks for multi-hour availability? Those are some of the questions being asked in this process, she said. Energy storage paired with solar and wind power accounts for a growing portion of the capacity now being proposed, which further complicates how it should be treated. 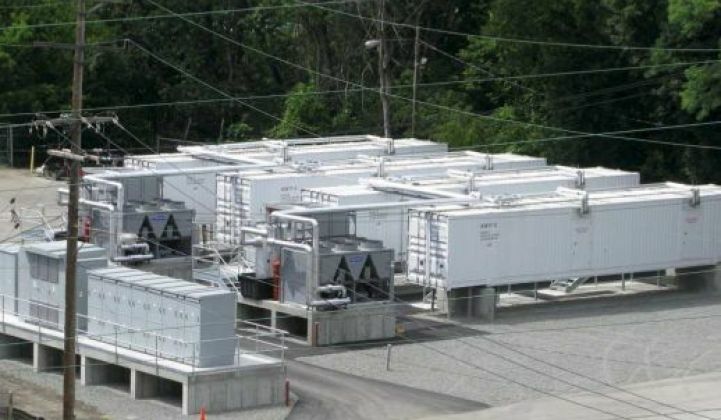 Finally, CAISO isn’t ruling out the potential for distribution-grid-connected, or even customer-sited, energy storage to play a role in grid markets and programs. That brings the state’s utilities into the picture, as well as customer-owned systems being installed under the state’s Self-Generation Incentive Program. Indeed, the complications involved in pulling distributed, independently owned assets into grid markets make the matter of transmission-connected storage seem simple by contrast.